José Orlando Berríos (pronounced beh-REE-ohs)...Twitter: @JOLaMaKina...Instagram: @ jolamakina...wife, Jannieliz...daughter, Valentina (5/15/14)...sons, Sebastian (8/8/16) and Diego José (9/15/17)...2012 graduate of Papa Juan XXIII High School, one of four players from that high school to be drafted...named 2011 Underclass High Honorable Mention and 2012 Rawlings Second-Team All-American...he is the brother-in-law of Cubs infielder Javier Báez; their wives are sisters and he was in Báez's wedding party in the winter of 2019...visited San Jorge Children's Hospital in San Juan along with Twins teammates when the club visited Puerto Rico for a two-game series in April of 2018 vs. Cleveland...over the winter of 2018-19, he donated gym equipment and $20,000 to Casa los Forjadores de Esperanza to improve their facilities; the facility is orphanage in his hometown of Bayamon, PR...participated in 2017-18 and '18-19 Twins Winter Caravan...if he wasn't a baseball player, he would be a teacher. Made first career Opening Day roster and was club's number two starter...Made season debut April 1 at Baltimore, pitching his first career complete game shutout, allowing three hits with one walk and six strikeouts...Pitched second career complete game June 7 vs. Chicago-AL, allowing two runs on six hits with 10 strikeouts...Made the start in Game 2 of the Puerto Rico series on April 18 vs. Cleveland, pitching 7.0 scoreless innings with three hits allowed, no walks and five strikeouts...Twins won 2-1 in 16 innings...Went 9-7, 3.68 ERA (127.1 IP, 52 ER) in 20 starts Pre-All-Star Break and was selected to his first All-Star Game...entered the game in the fifth for the AL, pitching 1.0 scoreless inning with one walk...Recorded double-digit strikeouts four times on season: 11 on April 12 vs. Chicago-AL, 10 on May 15 vs. St. Louis, 10 on June 7 vs. Chicago-AL and career-high of 12 on June 24 vs. Texas...Reached 200 strikeouts for the season, 21st time in club history for a pitcher to do so, eighth different Twin, and the first Twin to reach 200 strikeouts since Francisco Liriano in 2010 (201)...first right-handed Twin to do so since Bert Blyleven in 1986 (215)...finished with 202 strikeouts, the most for a Twin since Johan Santana had 235 in 2007...Held left-handed hitters to a .213 average, compared to .231 vs. right-handed hitters. Went 9-4, 3.03 ERA (107.0 IP, 36 ER) in 17 home starts and 3-7, 4.85 ERA (85.1 IP, 46 ER) in 15 road starts...Went 8-4, 3.25 ERA (110.2 IP, 40 ER) in 18 night starts and 4-7, 4.63 ERA (81.2 IP, 42 ER) in 14 day starts...Finished with 32 starts; along with Kyle Gibson (32) and Jake Odorizzi (32), they became the first trio of Twins with 30-plus starts in the same season since 2007 (Johan Santana - 33, Carlos Silva - 33, and Boof Bonser - 30)...Led Twins in wins (12), complete games (2) and strikeouts (202), tied for first in starts (32) and second in innings pitched (192.1)...Finished tied for first in the AL in complete games, tied for sixth in starts, eighth in innings pitched, 11th in strikeouts, 13th in opponentbatting average (.222), and tied for 15th in wins...Given Joseph W. Haynes Award for Twins Pitcher of the Year, voted on by the Twin Cities Chapter of the BBWAA...also awarded with the Carl R. Pohlad Community Service Award. Pitched for Puerto Rico in the World Baseball Classic, going 1-0, 8.10 ERA (6.2 IP, 6 ER) with two walks and 10 strikeouts in two games (1 start)...Was in Twins spring training for third time in career; optioned to Triple-A Rochester March 25...Went 3-0, 1.13 ERA (39.2 IP, 5 ER) with eight walks and 39 strikeouts in six starts for the Red Wings and was recalled by Minnesota May 12...Pitched into the eighth inning in each of first two starts with the Twins, 7.2 innings May 13 at Cleveland and 7.2 innings May 18 vs. Colorado...according to Elias, became the third Twins pitcher in last 30 years to pitch into the eighth and win each of first two starts (Brad Radke in 2001 and Andrew Albers in 2013)... Set major league career high with 11 strikeouts May 18 vs. Colorado (Game 2), pitching 7.2 scoreless innings...tied with 11 strikeouts again August 30 vs. Chicago-AL (7.0 IP)...Pitched back-to-back 8.0-inning outings on June 15 vs. Seattle and June 21 vs. Chicago-AL...Won six of first seven decisions May 13-June 21; according to Elias, became the second Twins pitcher since 1980 to win at least six of his first seven appearances in one season (Brad Radke in 2001)...became the first pitcher in franchise history (1901-present) to win six games that early in the calendar year after not pitching in the majors in April...Held opponents to a .192 batting average with 37 strikeouts in six August starts, fourth-lowest BAA in the AL...Made first career relief appearance September 29 vs. Detroit, pitching 1.1 scoreless innings, in preparation for potential relief appearance in AL Wild card game...Went 9-1, 2.41 ERA (67.1 IP, 18 ER) in 11 home games (10 starts) and 5-7, 5.17 ERA (78.1 IP, 45 ER) in 15 road starts...Held right-handed hitters to a .222 batting average and left-handers to a .260 average... Ranked second on Twins staff in wins (14) and strikeouts (139), and third in starts (25) and innings pitched (145.2)...Pitched in relief in AL Wild Card game October 3 at New York-AL, allowing three runs on five hits in 3.0 innings pitched and was dealt the loss. Was Twins spring training invite for second time in career...reassigned to minor league camp March 18 and began season with Triple-A Rochester...Went 2-0, 1.06 ERA (17.0 IP, 2 ER) in three starts and had contract purchased by Minnesota April 26 after Kyle Gibson and Ervin Santana were both placed on 15-day disabled list...Made major league debut in a start April 27 vs. Cleveland, allowing five runs on six hits in 4.0 innings pitched and was dealt the loss...at 21 years, 336 days, he became the youngest Twins pitcher to debut as a starter since Pat Mahomes (21 years, 247 days) April 12, 1992 against Texas...Earned first major league win May 2 at Houston, allowing two runs on three hits in 5.1 innings pitched, with five walks and eight strikeouts...Optioned to Rochester May 17 after making four starts for the Twins, posting a 10.20 ERA...Set season-high at Rochester with 11 strikeouts June 6 vs. Buffalo (8.0 IP)...Named Twins minor league Player of the Week June 26, making one start at Columbus pitching 8.0 shutout innings with three hits allowed, two walks and nine strikeouts...Named Twins minor league Pitcher of the Month in June, going 4-1, 2.02 ERA (35.2 IP, 8 ER) with 10 walks and 38 strikeouts in five starts for Rochester...Pitched fourth career complete game while at Rochester, July 3 at Syracuse...named International League Pitcher of the Week...Named to International League All-Star team and pitched 1.0 scoreless inning with one hit and one strikeout July 13 in Charlotte...Recalled by Minnesota August 1 and made five starts before being optioned again August 25...Made one start for the Red Wings, coming August 31 vs. Syracuse, pitching 8.0 innings and setting a career-high with 14 strikeouts...Recalled for final time September 5...Combined to go 13-12, 4.40 ERA (169.2 IP, 83 ER) with 71 walks and 174 strikeouts in 31 starts between Rochester and Minnesota. Cedric Mullins pops out to shortstop Jorge Polanco. May 13, 2017 Minnesota Twins recalled RHP Jose Berrios from Rochester Red Wings. March 25, 2017 Minnesota Twins optioned RHP Jose Berrios to Rochester Red Wings. September 5, 2016 Minnesota Twins recalled Jose Berrios from Rochester Red Wings. August 26, 2016 Minnesota Twins optioned RHP Jose Berrios to Rochester Red Wings. August 1, 2016 Minnesota Twins recalled Jose Berrios from Rochester Red Wings. May 17, 2016 Minnesota Twins optioned RHP Jose Berrios to Rochester Red Wings. April 26, 2016 Minnesota Twins selected the contract of Jose Berrios from Rochester Red Wings. December 17, 2015 Minnesota Twins invited non-roster RHP Jose Berrios to spring training. 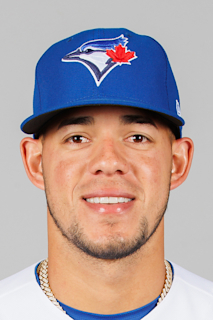 July 1, 2015 RHP Jose Berrios assigned to Rochester Red Wings from Chattanooga Lookouts. April 7, 2015 RHP Jose Berrios assigned to Chattanooga Lookouts from Rochester Red Wings. December 19, 2014 Minnesota Twins invited non-roster RHP Jose Berrios to spring training. October 30, 2014 RHP Jose Berrios assigned to Indios de Mayaguez. October 30, 2014 Indios de Mayaguez placed RHP Jose Berrios on the reserve list. August 31, 2014 RHP Jose Berrios assigned to Rochester Red Wings from New Britain Rock Cats. August 10, 2014 New Britain Rock Cats activated RHP Jose Berrios from the 7-day disabled list. July 7, 2014 RHP Jose Berrios assigned to New Britain Rock Cats from Fort Myers Miracle. April 1, 2014 RHP Jose Berrios assigned to Fort Myers Miracle from Cedar Rapids Kernels. August 22, 2013 Cedar Rapids Kernels activated RHP Jose Berrios from the 7-day disabled list. August 13, 2013 Cedar Rapids Kernels placed RHP Jose Berrios on the 7-day disabled list. April 18, 2013 RHP Jose Berrios assigned to Cedar Rapids Kernels from Elizabethton Twins. November 7, 2012 RHP Jose Berrios assigned to Indios de Mayaguez. August 7, 2012 Jose Berrios assigned to Elizabethton Twins from GCL Twins. June 18, 2012 Jose Berrios assigned to GCL Twins from Minnesota Twins. June 15, 2012 Minnesota Twins signed RHP Jose Berrios.